A couple of weeks ago I was sent some Skinny Tan tanning products. I do love a good fake tan so I was excited to try out these. They promise to provide a natural tan, with natural ingredients and reduce the appearance of cellulite and make wearers look skinnier. It's a best seller Australian product which has just hit the UK, hoping to firm and tan us UK girlies. The tanners contain guarana which is a derivative of caffeine and has properties which help firm skin apparently, plus being more tanned makes us all look slimmer. It also doesn't contain DHA which is the usual fake tanning agent, but a chemical from the Brassica napus plant seeds instead, so promises to be a "natural" form of tanning. The gradual tanner is a daily moisturiser which leaves a gradual tan over a series of days, where as the 7 day tanner is one that you apply once, leave overnight and a tan will develop and last for around 7 days. The gradual tanner was a white cream and the 7-Day tanner is more like a traditional fake tanner so it contains a colour guide so you can see where you applied it. Both tanners smell deliciously like coconuts and pina colada! It was so delicious my boyfriend commented on the lovely new perfume I had on! 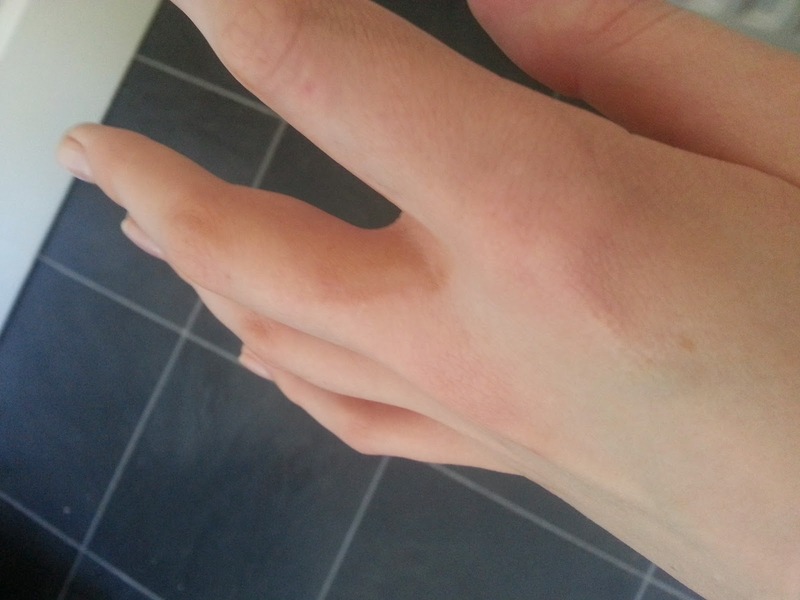 The gradual tanner applied well, it smoothed on easily and I found a little went a long way! I applied it straight after my shower and smelt lovely all day, although by the end of the day it did develop that biscuity smell like the traditional DHA-based tanners, but masked by the faded coconut, holiday smell. As it was a cream, I did manage to leave some on between my fingers by accident and this is the result. For someone as pale as me, this is quite a deep tan. I couldn't really see myself using this very regularly like a moisturiser as I would end up very deep brown! However, you'll see that there are no hints of orange so I will happily use this for a tan top-up a couple of times a week. 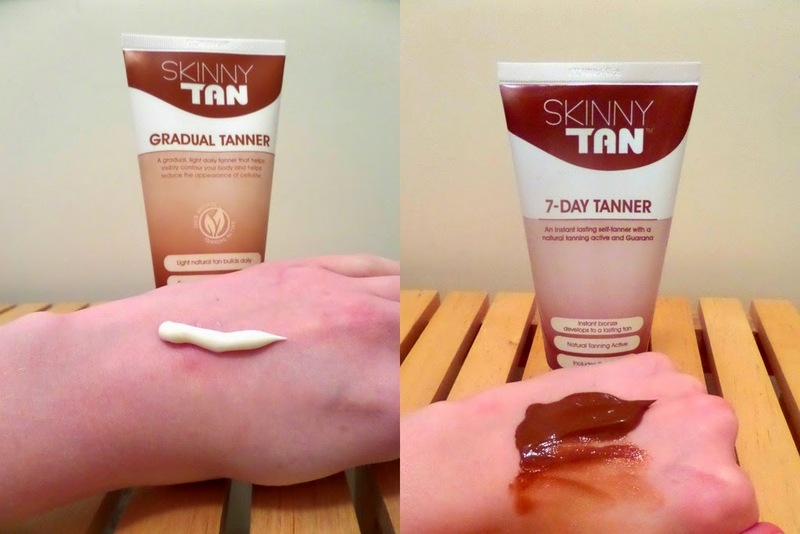 The 7 day tanner had a brown colour guide to help with application so there were no messes with this and it was really easy to apply for an even tan. However, I didn't read the bottle which says don't overwork and I massaged this tan in too much. If you keep massaging the tan to soak in, it begins to lose the colour guide and go white and creamy - very confusing when you're applying a fake tan. 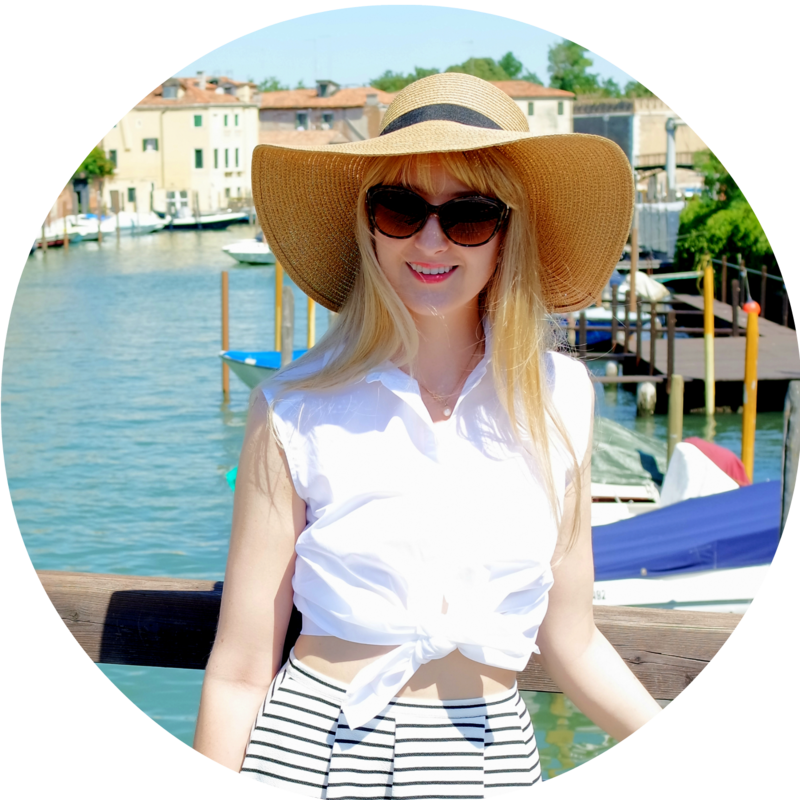 It also stops the tan from working as well as it should, leaving me with a lighter tan than the gradual tanner! After this application I read the bottle and actually applied it correctly which meant leaving quite a thick layer of product on my skin and leaving it quite damp meaning I couldn't wrap myself in a towel to go from the bathroom to my bedroom without wiping tan off! As someone who uses mousse tans normally which are "drier", this was very new to me, so if you are living in a shared house I'd recommend doing it in your room and taking an extra 10 minutes to let it dry before getting dressed for the best results. The 7 day tanner also had the lovely coconut smell, but again became very "biscuity" at the end of the day. Right leg has tanner on - this is immediately after application. It is slightly browner due to the guide colour. left leg natural colour, right leg is one application of Skinny Tan 7 Day Tanner. The colour the tanner came out was nice, natural bronze without any orange tones. This is only one application so adding further will give a deeper tan, but for April this was the perfect colour for me.